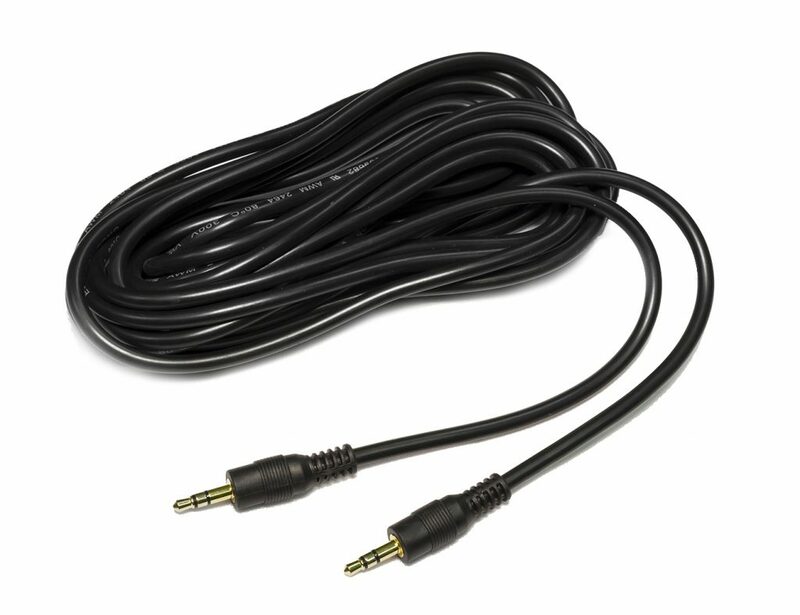 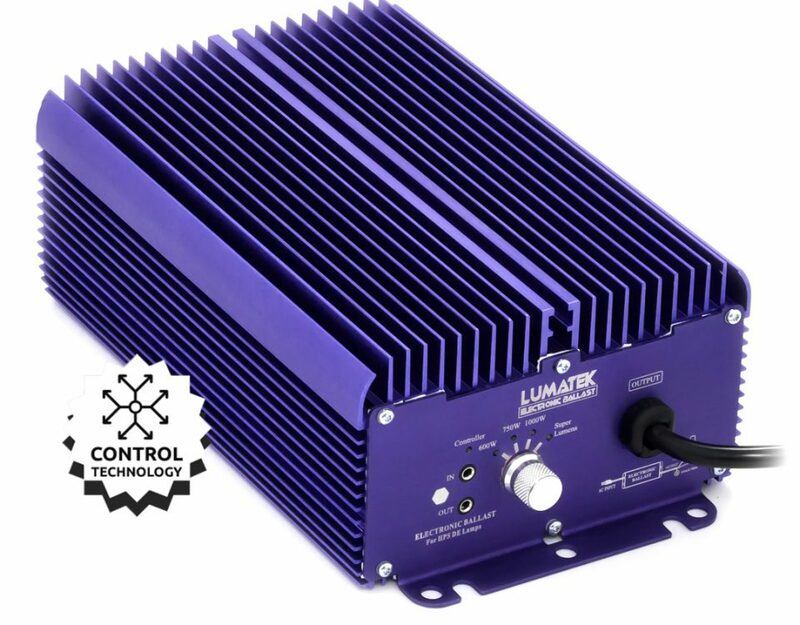 This 1000W Pro Double Ended digital lighting kit consists of the highest PAR/PPF output 1000W 400V DE lamp driven remotely by the 1000W Pro 400v Controllable e-ballast. 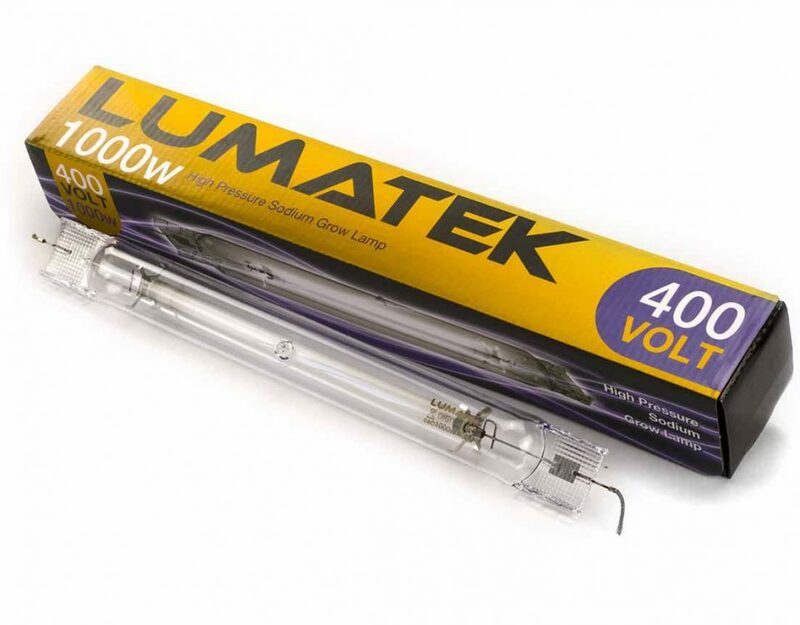 The Lumatek 1000W 400V DE lamp and is produced using high-grade ceramic arc tube technology and specific horticultural gas blend that creates optimal spectral output for healthy plant growth. 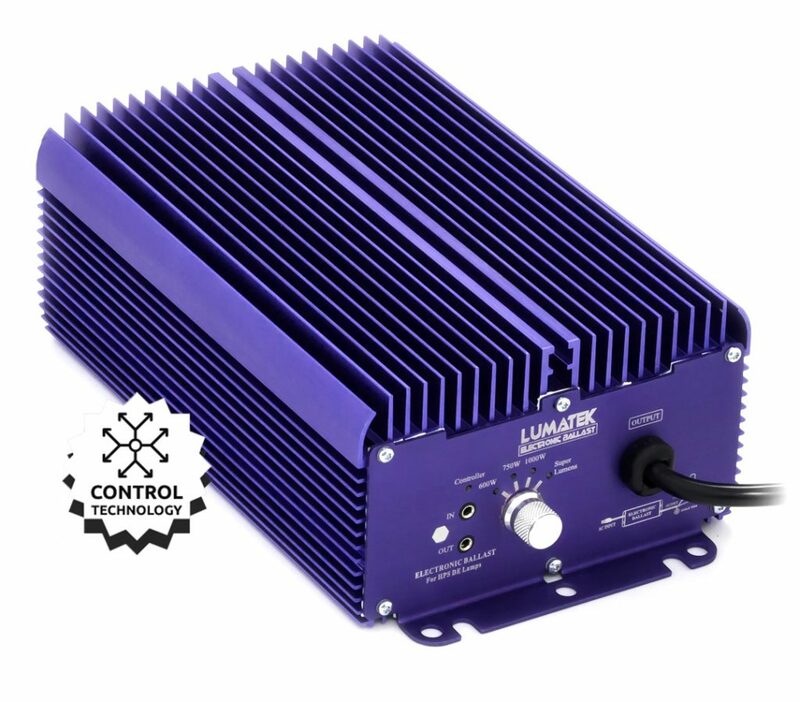 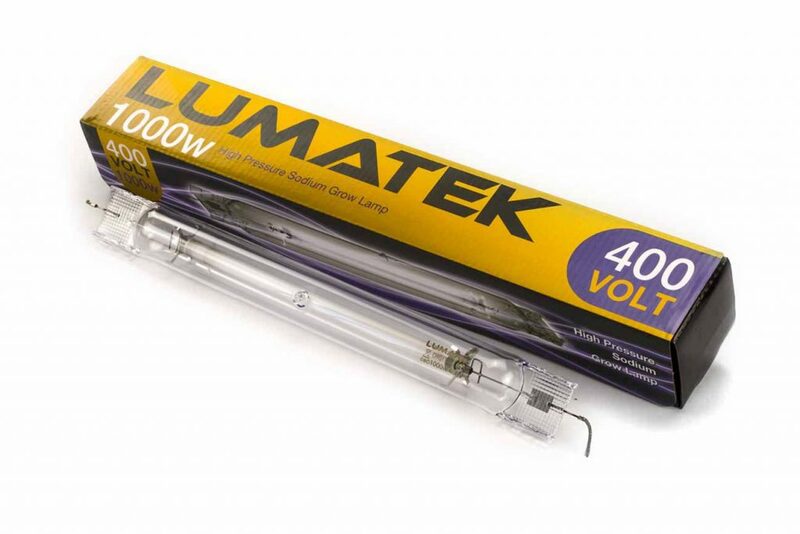 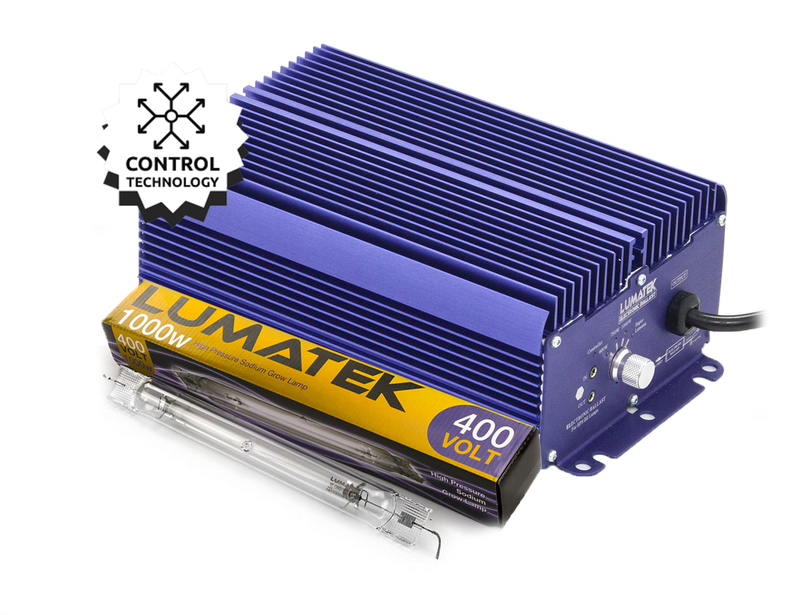 The LUMATEK Pro 1000W 400v Controllable remote e-ballast has been developed to connect to 240V power supply and light 600/750/1000W 400V Double-Ended (DE) HPS grow lamps.